You do not need your own boat to get out to the islands in the archipelago. During the summer, from 25th of June to 27th of August 2017, there is public transportation throughout the Östergötland archipelago, from Arkösund in the north to Harstena in the south. You can island hop among the islands, stay overnight in a rented cottage or camp with your own tent and then continue your trip to the next island the next day. It might also be advantageous for you to take a day trip, hop ashore, enjoy your picnic and then take the boat back to the mainland in the afternoon. Skärgårdslinjen’s liners depart daily from Arkösund and Tyrislöt during the summer. In the Gryt archipelago you can ride the mail boat on weekdays throughout the year when it delivers letters and packages to island residents. 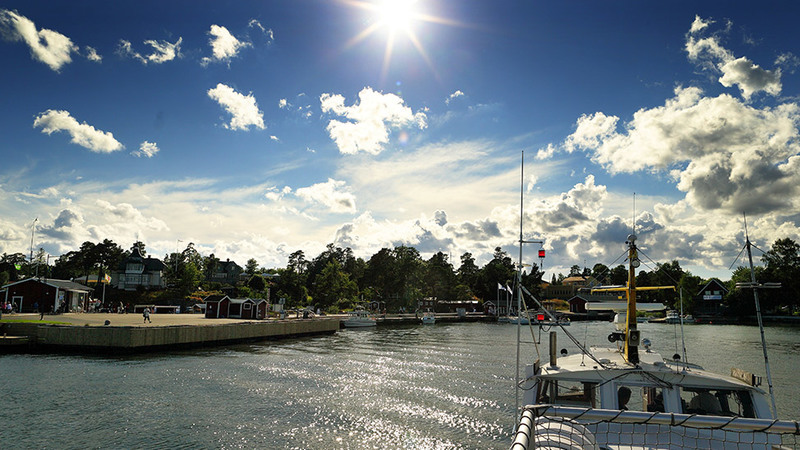 In this way you can get a real feeling for how it is to reside in the archipelago. Only cash on the boat! Book an Archipelago Line Package, a splendid archipelago experience with an overnight stay! Book here. Only buy a ticket with the Archipelago Line here.